You will begin in Rome, where your English-speaking driver will arrive at your hotel with a luxury Mercedes. 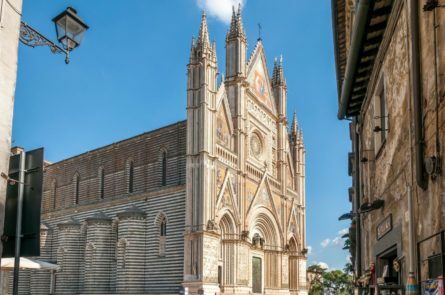 Driving to Florence, take your transfer as an opportunity to visit the medieval gem of Umbria, the town of Orvieto. This quaint hilltop town may be small, but it’s packed with 3,000 years of history, going all the way back to the Etruscans. Shop for handcrafted ceramics and olive wood souvenirs, or stop in and sample olive oil from a local grove, or taste the elite Sagrantino red wine of the area while enjoying a typical lunch of the region. At the end of your 3-hour stop, your driver will continue north to Florence, leaving you at your accommodation to conclude your Rome to Orvieto sightseeing transfer.